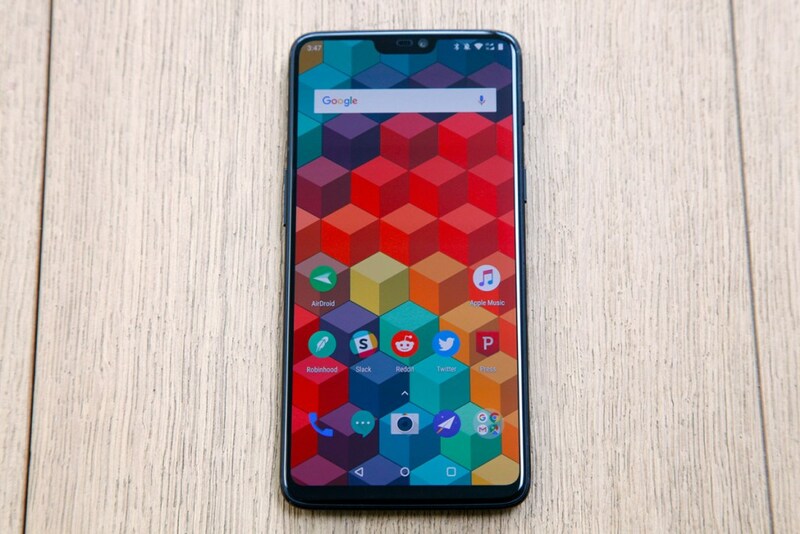 OnePlus 6 | This device was launched on Wednesday, May 16, 2018, at an event in London, just like the launch of Honor 10 barely a day prior ,The design of the OnePlus 6 is similar to that of many trending smartphones, having a top notch to house the front camera, earpiece and proximity sensor. There is a slim bezel at the bottom. This device also comes with a glass rear design, even though it does not support wireless charging. As is known with OnePlus flagships, the company opted for the year’s top-of-the-line processor, powering the OnePlus 6 with the Snapdragon 845. OnePlus also took it a step further, including a 256GB internal memory option this time around. OnePlus 6 runs OxygenOS 5.1 based on Android 8.1 Oreo. It was supposed to come with Android P Beta at launch, but the company has revealed that it would be available in the “next couple of days”. This device sports a 6.3-inch (technically 6.28-inch) full-HD (1080×2280 pixels) full AMOLED display. It has a 19:9 aspect ratio and an 84 percent screen-to-body ratio. OnePlus 6 measures 155.7×75.4×7.75mm in dimensions. Just like the OnePlus 5T, OnePlus 6 supports sRGB and DCI-P3 color gamuts. OnePlus 6’s Qualcomm Snapdragon 845 SoC is clocked at 2.8GHz. OnePlus 6 was launched in two RAM variants: a 6GB RAM variant as well as an 8GB RAM variant. However, there are three internal storage variants: 64GB, 128GB, and 256GB. None of these variants support expansion via microSD card. On the camera front, there is still some similarity with the OnePlus 5T. OnePlus 6 has a dual-camera setup. It sports a 16-megapixel Sony IMX519 sensor with a 1.22-micron pixel size, f/1.7 aperture, OIS, and EIS primary camera on the rear. The secondary is a 20-megapixel Sony IM376K sensor with a 1-micron pixel size and an f/1.7 aperture. These cameras come with a dual-LED flash module. The front camera is powered by a 16-megapixel Sony IMX371 sensor, 1-micron pixels, f/2.0 aperture, and EIS. This camera offers Portrait Mode, giving a depth-of-field effect using a new AI algorithm. It also has a Face Unlock feature which is said to be capable of unlocking the phone in 0.4 seconds. 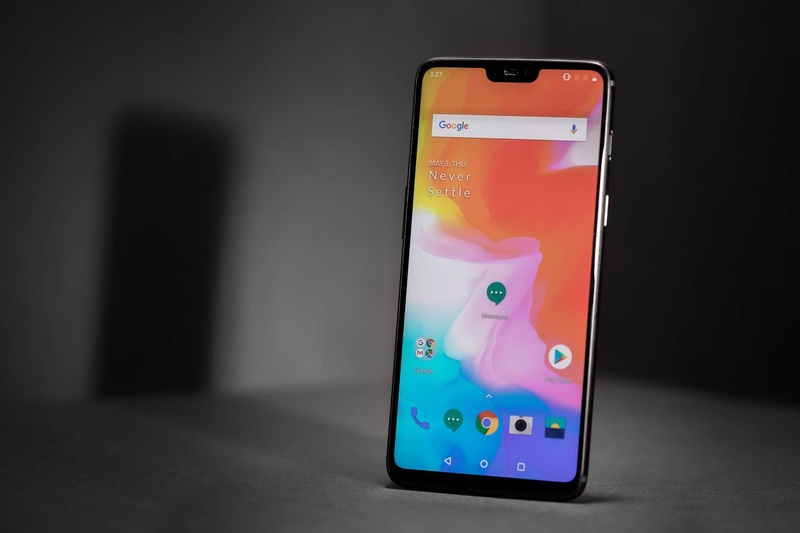 OnePlus also included a Slow Motion video recording option which can capture 480 frames per second, while adding a new in-device video editor. Connectivity is also an important factor to consider when getting a phone. OnePlus 6 supports 4G VoLTE as well as Wi-Fi 802.11ac (dual-band, 2.4GHz and 5GHz) with 2×2 MIMO. It comes with Bluetooth v5.0 with support for aptX and aptX HD. NFC, GPS/A-GPS and USB Type-C (v2.0) are some of the other connectivity options supported by OnePlus 6. The company also included a 3.5mm headphone jack. The sensors included on board include proximity sensor, digital compass, ambient light sensor, gyroscope and accelerometer. A fingerprint sensor can be seen on the rear of the device. It is of note that this sensor is not a perfect circle but rather a kind of rounded rectangle. The fingerprint sensor is said to unlock the device in as little as 0.2 seconds. Running on a 3300mAh battery, and enjoying the company’s Dash Charge (5V, 4A) fast charging technology, OnePlus 6 is said to deliver a “day’s power in half an hour”. OnePlus claims that the OnePlus 6 offers ‘daily water resistance’, and that it is safe from regular splashes. However, this does not seem to be certified as there is no detailed IP rating. OnePlus 6 will be available in three color variants: Midnight Black, Mirror Black, and Silk White Limited Edition. While the Midnight Black and Mirror Black will become available in open sales from May 22, the Silk White Limited Edition will not be available until June 5. The price of the OnePlus 6 in India will be announced at the launch event in Mumbai today. It will become available to buy on May 21. This will be an early access sale for Amazon Prime customers.